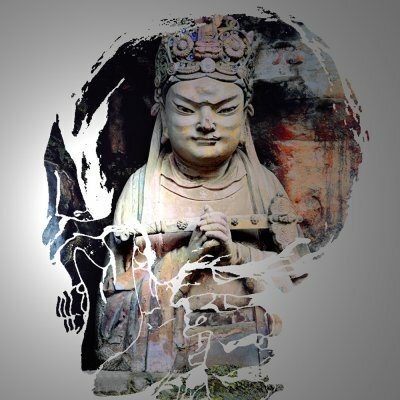 An exhibition of Han Xuejun works. 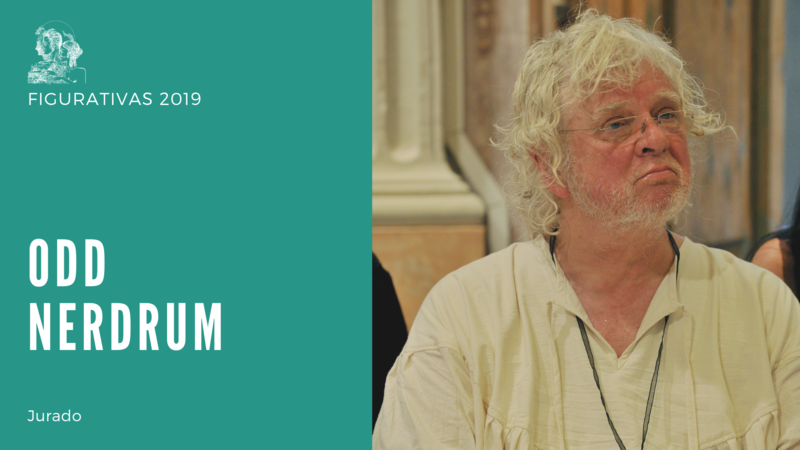 Odd Nerdrum, member of the jury of Figurativas 2019. 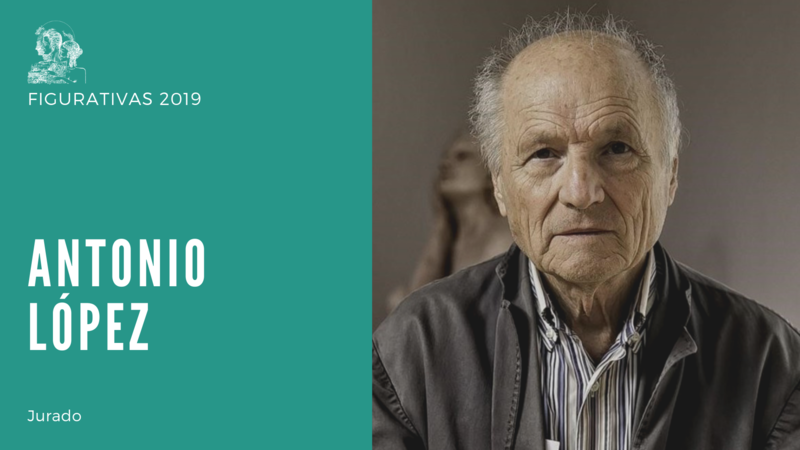 The MEAM presents the first great anthology of the Polish sculptor Grzegorg Gwiazda, the great promise of contemporary European sculpture. PRESS: Dog days, living together. The gap between civilizations: horizon and margins. Han Xuejun observes and examines the living conditions of different nationalities and different ethnic groups from a global perspective, and explores the humanity's light with the artist's keen sense of smell, thus making people living in relatively developed and enjoying modern civilization pay attention to those being Another group of people that modern civilization ignores and forgets. Exhibition curated by Artelibre and HongbinZhang. 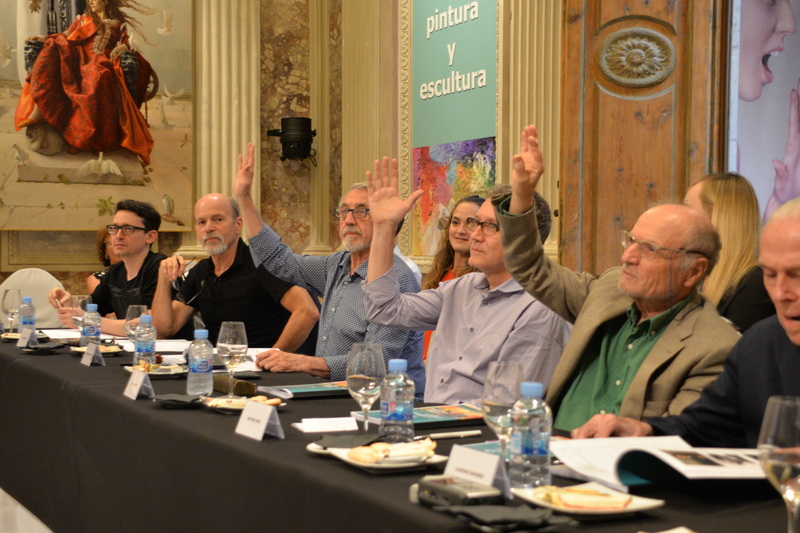 The Wagner Club, the MEAM and the "Foundation of Arts and Artists" organize the contest with the collaboration of the Gran Teatre del Liceu and the support of Katharina Wagner, who, with other personalities of the artistic field, form the jury. 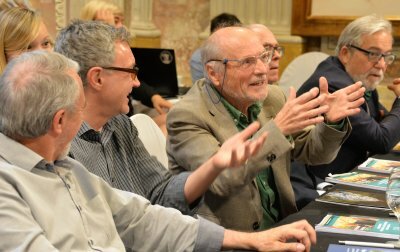 The theme revolves around the famous opera by Richard Wagner, as a result of the new production that the Liceu premieres next season. 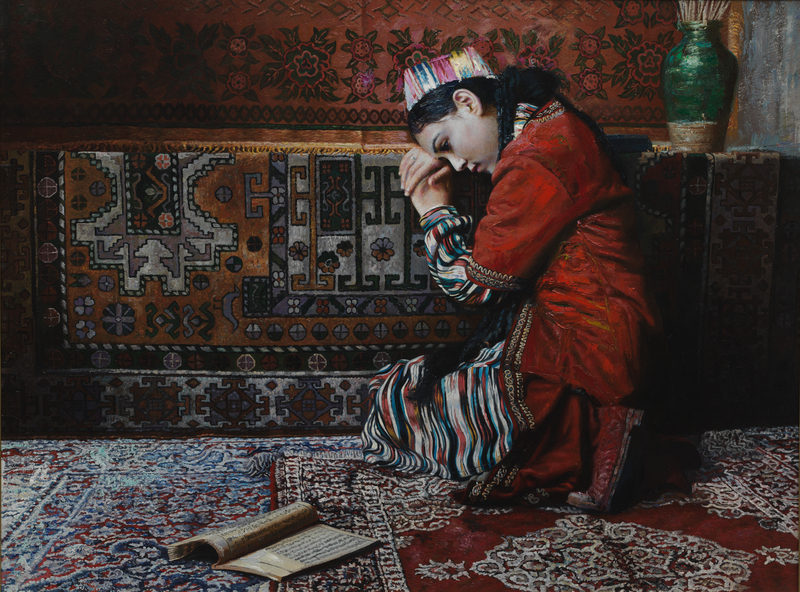 The MEAM and TIAC Academy of Fine Arts Florence inaugurate on April 11 the exhibition Beyond Language - Contemporary Chinese Realism, a total of 55 works by 30 Chinese figurative artists. This exhibition shows the growing interest in the art and culture of the Asian country, which also takes our pictorial tradition and our contemporary masters as references for the development of the oil technique. The oil painting was first introduced in China in the 18th century, but it was not popularized in artistic circles until the end of the 19th century. 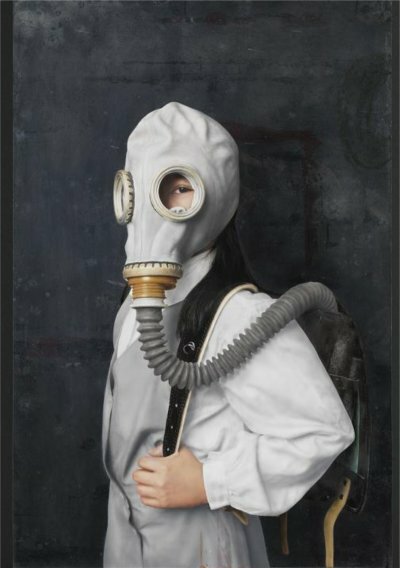 Beyond Language - Contemporary Chinese Realism hosts the work of a total of 30 Chinese artists dedicated to the oil technique, including the painter Xu Mangyao and Golucho as a guest artist. Open to the general public. Free entry. 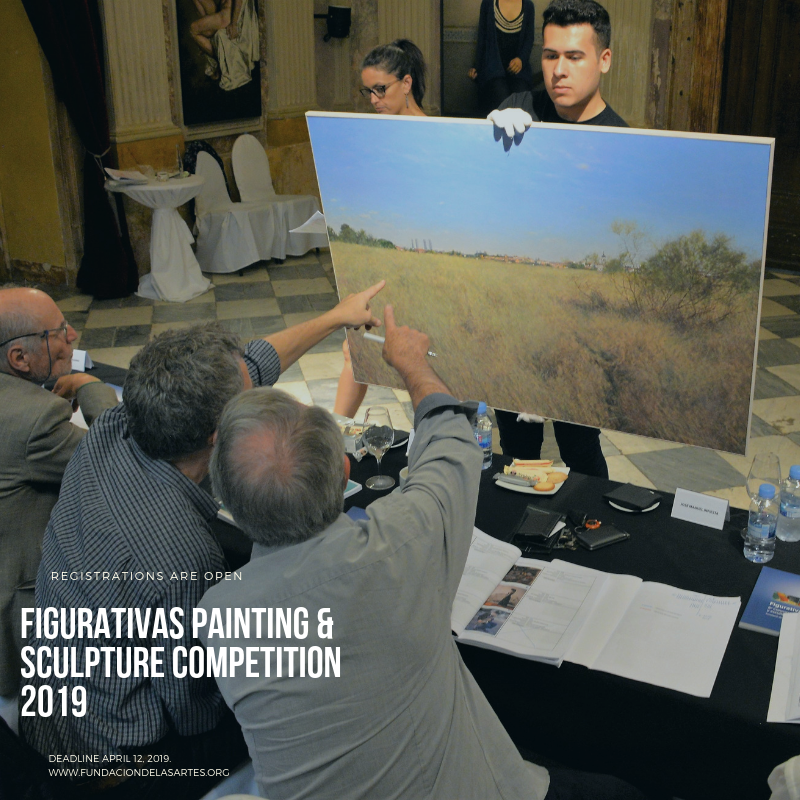 The Spanish artist Antonio López García will be part of the jury panel of the 10th international figurative painting and sculpture contest, organized biannually by the Arts and Artists Foundation. 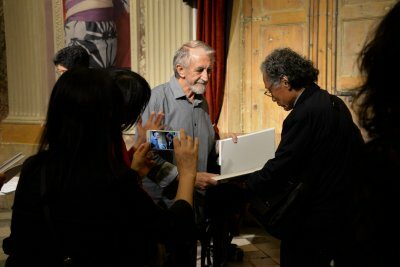 Art Renewal Center celebrates the official awards ceremony for its winners at the MEAM, after having been exhibited in exhibition halls such as Salmagundi Club, New York, and Sotheby's, Los Angeles. 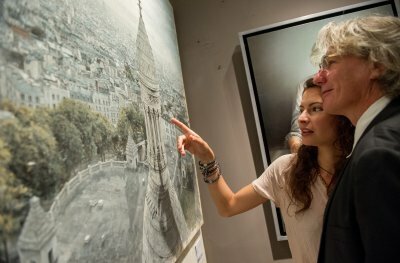 The Norwegian artist Odd Nerdrum will be part of the jury panel of the 10th international figurative painting and sculpture contest, organized biannually by the Arts and Artists Foundation. 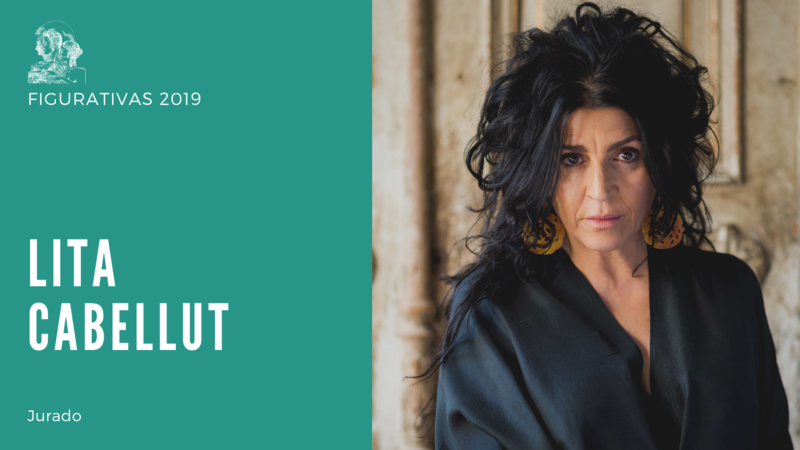 The artist Lita Cabellut will be part of the jury panel of the 10th international contest of figurative painting and sculpture, organized biannually by the Arts and Artists Foundation. 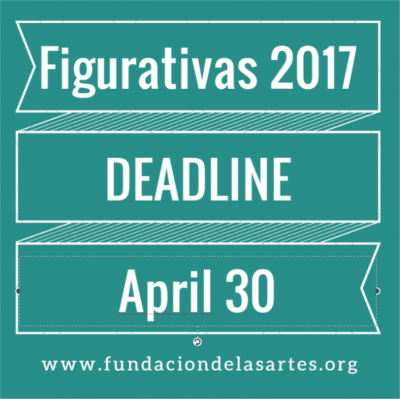 The Foundation of Arts and Artists announces the 10th international contest of figurative painting and sculpture. 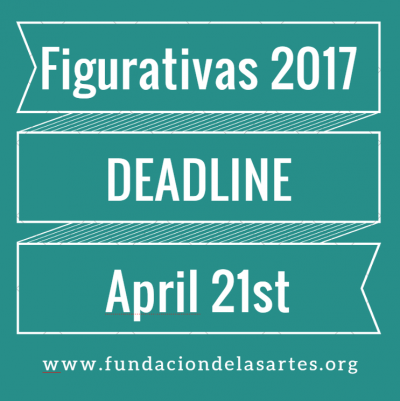 Participants can register on the web www.fundaciondelasartes.org in the category of painting or sculpture by filling out the online form and attaching an image of the proposed work. 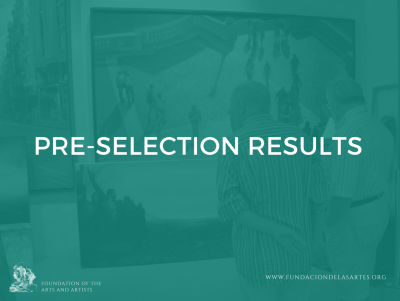 The organizers will contact the preselected artists who will have to send the physical work to the premises of the MEAM · Museo Europeo de Arte Moderno. It was only chance that there were seven months separating the inauguration of two Contemporary Painting Museums that, at two opposite ends of the world, have made Figuration its banner. They did not know each other, they knew nothing of their existence from each other and very little of the artists in each of them represented. They were, in conclusion, two very distant worlds that have come to be in an identical sensitivity to the art of our day. 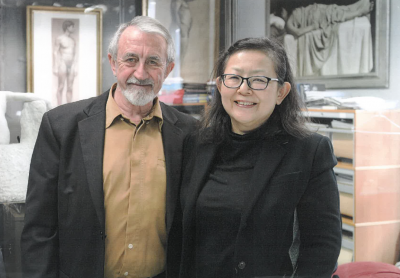 I suppose that the same surprise that I had when receiving the visit of Hiroko Hoki in Barcelona to propose collaboration and friendship, was the one Masao Hoki would have at the time to learn of the existence of a sister museum in distant Europe, moved by similar ones criteria of management and aesthetics. For me, it has been exciting to be able to collaborate with a family that is capable of creating an institution like the Hoki. That can conceive such a Museum and entrust to a prestigious architectural firm the construction of a building specially designed to house its collections and that has earned the Japanese Architecture Award. That gives body to a collection of works of art of such magnitude and that present them with such dignity. 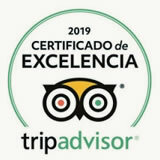 And finally, it is an honor that we are in charge of presenting, for the first time in Europe, the work of a whole generation of artists that will surprise not a few visitors from all over the world. 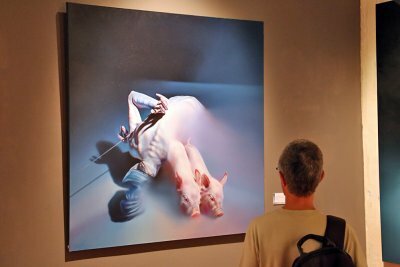 I sincerely believe that this exhibition of current Japanese artists will arouse the admiration of my European fellow citizens and deserve more than interesting comments outside our borders. 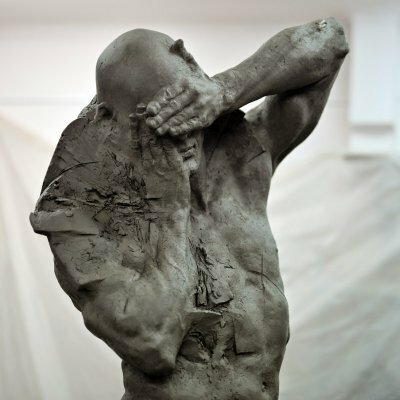 The official world of art can not continue to ignore the strength, the category and the decision with which Figuration is invading and all corners of the contemporary. 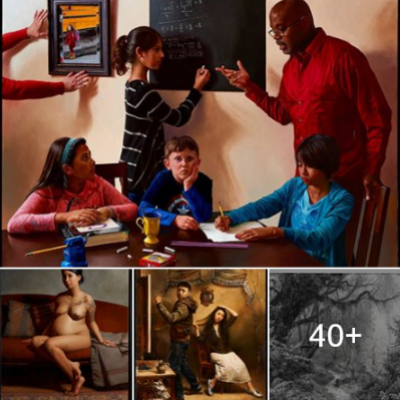 The return to respect for tradition as the basis of the creative act to make the leap to the new expressiveness of the 21st century is already an indisputable fact. And the quality of the work that is being presented all over the world is already of an absolutely irresistible power. I am sure that this first step of collaboration between our two Museums will continue in many fruitful acts of collaboration between both institutions. We share some images of what has been the workshop with Japanese artist Osamu Obi today. On the occasion of the exhibition of works of the Museum of Hoki in the European Museum of Modern Art (MEAM) from September 20 to December 2, 2018, on September 19 was held at the official residence a reception with assistance of the organizers and artists involved. 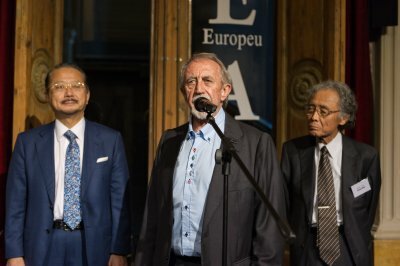 Likewise, the following day, Consul General Naohito Watanabe attended the inauguration ceremony held at the MEAM, where he offered a parliament with the director Mr. Infiesta, the public relations manager of the Hoki Museum Mr. Yasuda and the representative of the artists Mr. Noda. 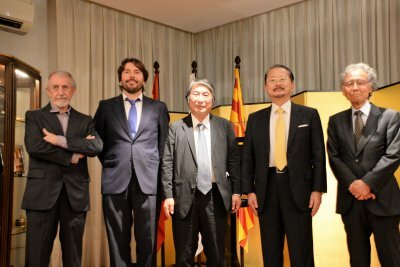 The Consul General highlighted the celebration of the 150th Anniversary of the establishment of relations between Japan and Spain, of which the present exhibition is a commemorative event, and expressed his hope that it contributes to a strengthening of the artistic exchange between both countries. The inauguration event had more than 500 attendees and was a success. 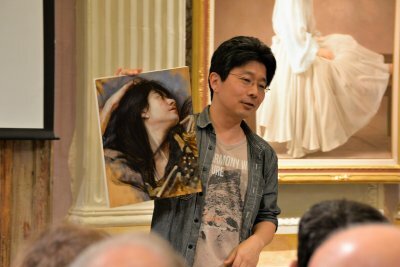 On Wednesday, September 19, the Japanese painters took part in the Japanese Contemporary Realism exhibition that can be seen at the MEAM from 20/09 to 2/12 of 2018. 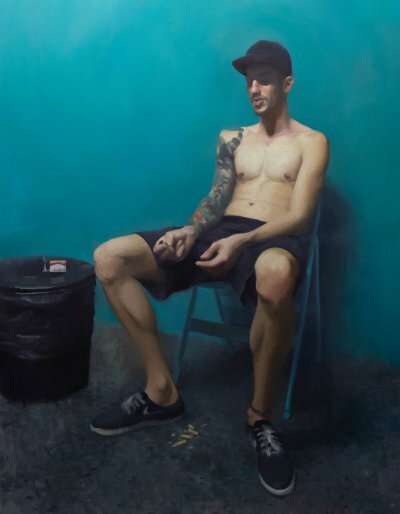 The European Museum of Modern Art (MEAM), an entity that promotes and disseminates figurative art of the 20th and 21st centuries, will present for the first time in Europe the work of the most prestigious contemporary Japanese artists, in the field of figuration and realism. 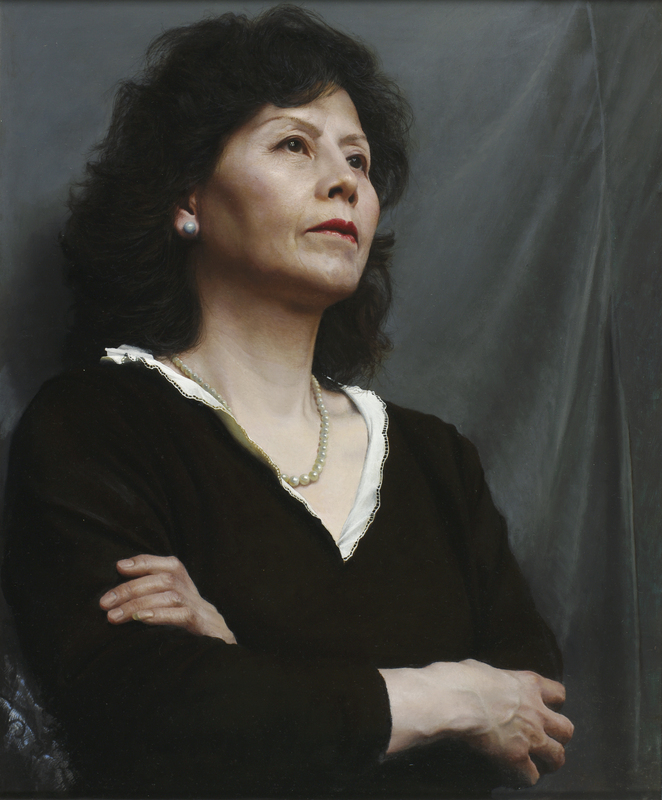 From September 21, will host the exhibition ’Contemporary Japanese Realism’, which brings together the 60 most outstanding works of the permanent fund of the Hoki Museum in Tokyo, the first museum in Japan dedicated exclusively to the current realistic painting. Female figures endowed with the sensibility and exquisiteness of Japanese art or carefully worked landscapes are some of the main reasons that will form the exhibition. ’Contemporary Japanese Realism’ will feature the participation of 14 Japanese painters of great prestige, among which the pioneer Hiroshi Noda (1936) or Masayuki Hara (1956). 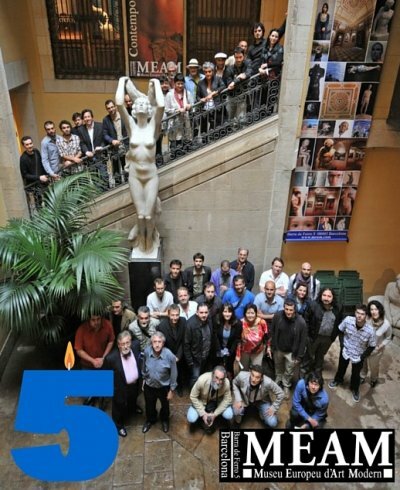 As a correspondence, starting in 2019, the MEAM will organize a large collective exhibition with more than 50 current figurative Spanish artists in the Hoki Museum and other points of reference in Japan. 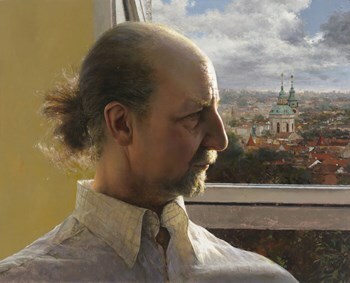 Later, he will present an anthological sample of the Hungarian painter Istvan Sandorfi. 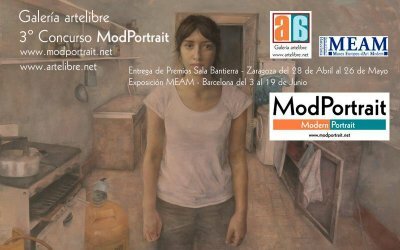 The MEAM (Museu Europeu d’Art Modern) exposes from June 22 to July 29, 2018 the works selected in the V Contest ModPortrait of figurative painting in portrait mode and showing that the bar of this international contest is every time higher. 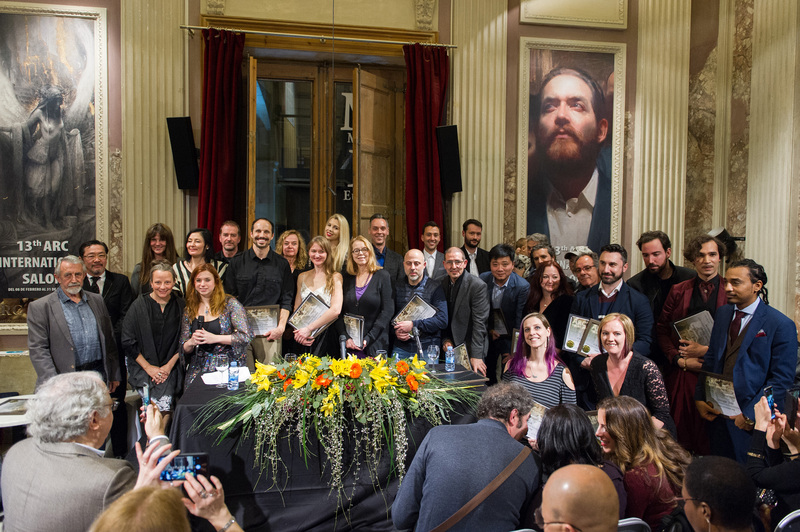 Prior to his visit to Barcelona, his promoter, José Enrique González, director of the Galería ArteLibre, will show next June 3 at the Pablo Serrano Museum the result of his efforts, at an evening in which the first prize will be presented. Fifth edition. 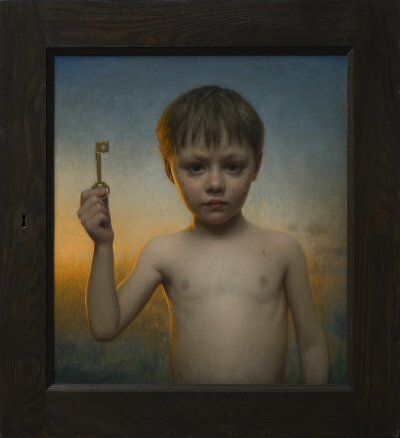 Conor Walton was the winner for an oil portrait under the title "The key". Six honorable mentions will also be given to painters whose works stand out among all the participants. 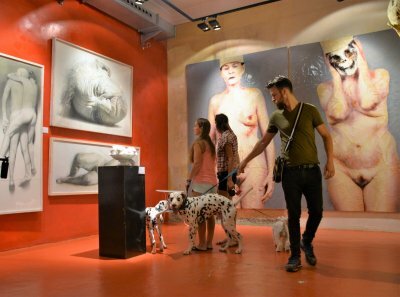 Among them we can mention the works of Marcos Rey, Carmen Mansilla or Iván Franco. 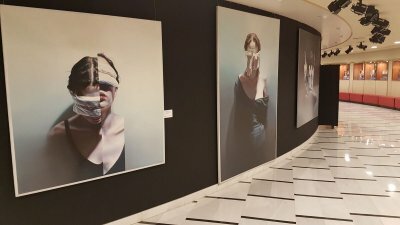 Worthy culmination of the long series of activities carried out in the MEAM, since the opening of the exhibition on Mujeres Artistas Hoy, started on March 8, is this anthological exhibition of the work of the sculptor Luisa Granero. 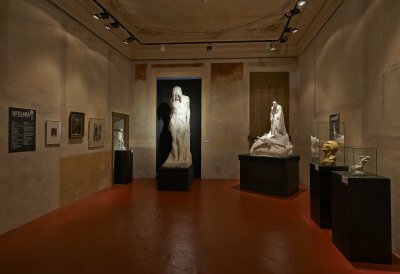 To organize this exhibition, the son of Luisa Granero has made available to the MEAM the entire legacy of Luisa Granero: Hundreds of sculptures, oil paintings, notes, personal notes, etc., etc. 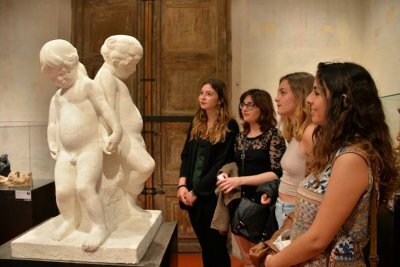 The result is the most complete anthological of his work, with many sculptures made in terracotta, plaster, bronze and marble, with many different oils and paintings, and with works by many well-known artists (Mallol Suazo, Ernest Santasusagna, Lluís Muntaner, Jaume Otero , Martí Llauradó, etc.) in which she herself is the model. An authentic example of how a woman, made to herself, and with the sole weapon of her will, can achieve all the goals that have been proposed in life. 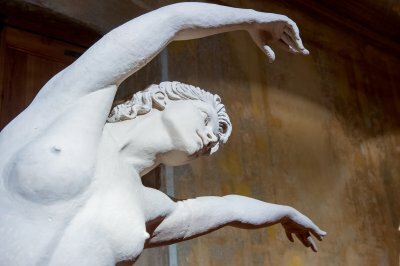 The sculptor Joan Seguranyes i Redorta was born in Vic in 1932, son of the sculptor Jaume Seguranyes i Solá. He studied at the Municipal School of Vic and at the Escola d’Arts i Oficis of Barcelona (Llotja), helping in the workshop of Josep Clarà. 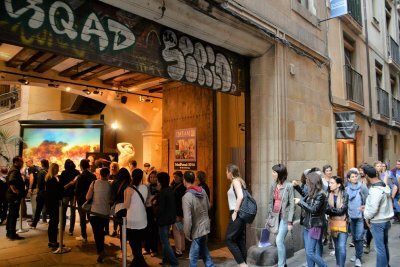 He has participated in several collective exhibitions and, since 1970, in individual exhibitions in a multitude of Catalan and Spanish locations. Gold Medal of Sculpture of the City Council of Vic and Silver Medal of the I International Exhibition of Aix-en-Provence. 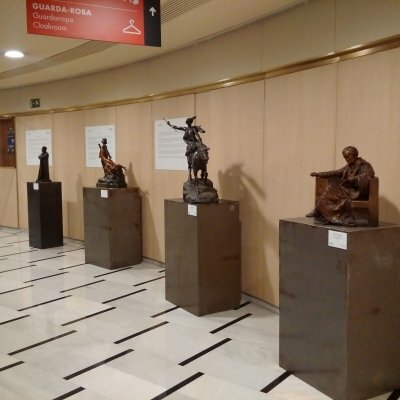 The sculptor has donated the "Legacy Seguranyes" to the Fundació de les Arts i els Artistes, a set consisting of 25 sculptures of different materials (terracotta, plaster and bronze) and numerous drawings. All of them will become part of the Foundation’s funds. To make them known to the general public, the MEAM will organize an exhibition that will open on April 12, 2018 on the second floor of the Museum. 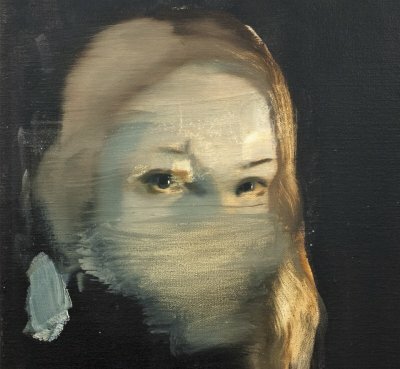 On Thursday, March 8, coinciding with the celebration of International Women’s Day, the MEAM presents an exhibition of Spanish artists, painters and sculptors, who show the best that is being done today in the field of contemporary figuration. The MEAM has made a selection, among the remarkable current production, to present the latest works that women have made and are doing in the plastic arts. 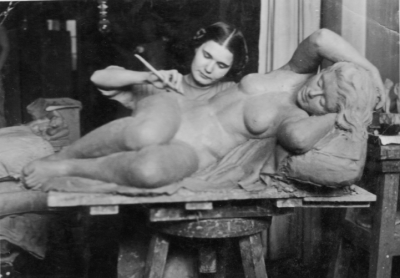 On November 17, 1917, Auguste Rodin died at his home in Meudon, France. The extensive work he did throughout his life had shown an incredible ability to travel the long distance that separated the prolific academicism of the mid-nineteenth century from the brutal expressiveness of the twentieth century. 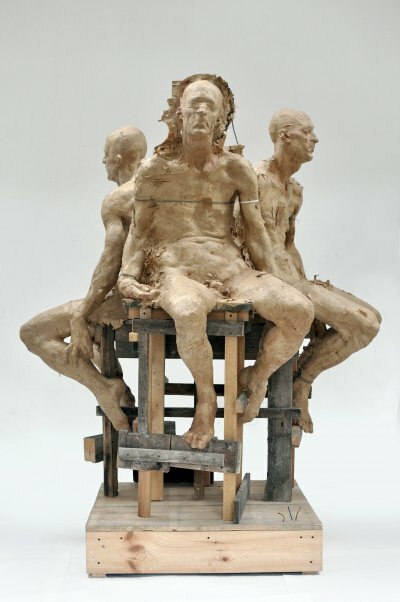 In the same month of the centenary of the death of the French master, the European Museum of Modern Art (MEAM) exposes the work of another young artist who aspires to find his own language to make a leap as ambitious as that of the visionary Rodin. In the same way as the French genius, his work is not a static work, but is in constant transformation, surprising itself with the most original ideas. 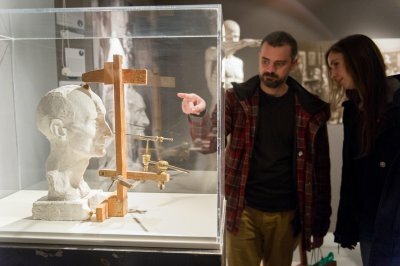 The MEAM presents from November 30 the exhibition ’The Rodin of the XXI Century’, in reference to the Polish artist Gregorz Gwiazda (Poland, 1984), considered one of the most advanced disciples of the great French sculptor of the nineteenth and twentieth centuries. Humanity, strength, old age, humor and decadence are some of the features that are present in this show. 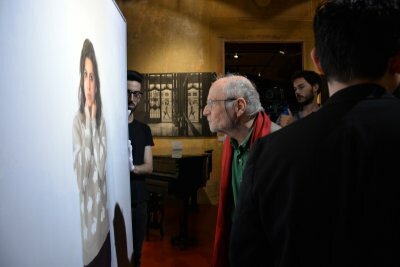 José Manuel Infiesta, director of the MEAM, explains that "in every detail of Gwiazda’s work there is a contained force, an expressivity so brutal that it drags us into the depths of ourselves". Gwiazda studied at the Fine Arts schools of Poznan and Warsaw, and later at the Accademia di Belle Art di Brera in Milan, Italy. 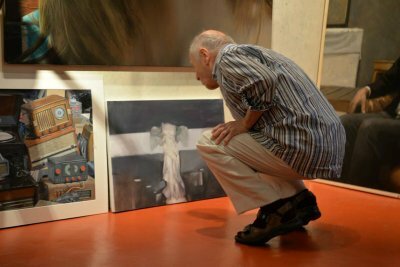 His works have been shown in individual exhibitions in several Polish cities, such as Lidzbark, Warminski, Warsaw, Poznan, Mosina or Bydgoszcz, among others, and in group exhibitions in Poland, Madrid and Barcelona. 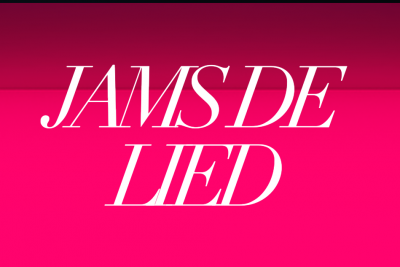 In a return to the origins of the Lied, Jams de Lied are organized periodically, sessions that take place in different areas of the city and where the initial spirit of this genre is claimed, more spontaneous and informal, but above all, closer . During these Jams, the intention is to recover this community and creation environment, where artists meet in "incognito duets", a kind of blind date to make music spontaneously between singers and pianists. Giving surprising results, as happens with other musical genres, in a space open to everyone, both artists and music lovers. 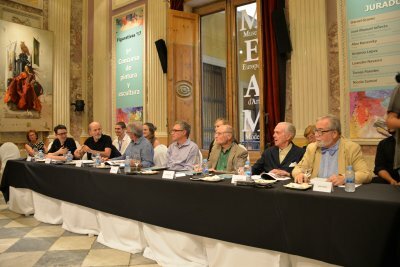 This Jam de Lied, which will take place in the Palau Gomis of the MEAM as an incomparable setting, is special since we will celebrate that it is the official fixed headquarters of the JAMS DE LIED, with the support of the Victoria de los Ángeles Foundation and the LIFE Victoria Festival . 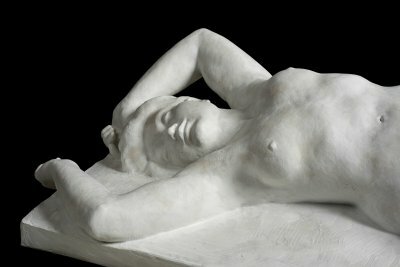 To celebrate the centenary of the death of the best European sculptor of the 20th century, Auguste Rodin, in November 1917, MEAM will present, from December 1st, 2017, the first great anthological exhibition of the work of the Polish sculptor Grzegorz Gwiazda, that we consider with category and personality sufficient to be able to be considered like "the Rodin of the 21st century".